iHealth Hypnotherapy School is proud to offer a program of study leading to Certified iChange Therapy™ Specialist. A few courses in the program of study have already taken place as Master Classes at iHealth Center, but also in Kuala Lumpur and Hong Kong. Credits will be available to those early participants. Upon completion of credit requirements, one can apply for certification. 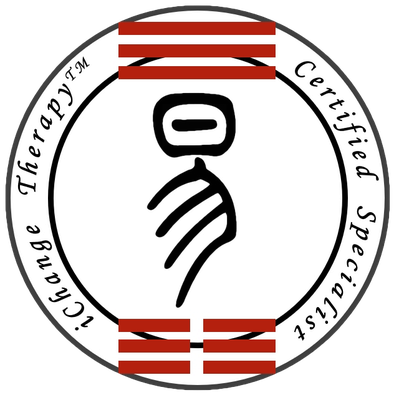 Passing a final Certification Test with Dr. Kweethai will confer the designation of iChange Therapy™ Specialist. Non-hypnotherapists desiring certification can apply for a customized course of study with Dr Kweethai. iHealth Hypnotherapy School is associated with ACHE, IMDHA and ICBCH for purposes of instruction and certification. Dr. Kweethai has practiced and fine-tuned her process for over a decade, describing its evolution and various components at national conferences and in master classes. At the request of many students, she has only recently organized a course of study for hypnotherapists and related professionals to learn the comprehensive methodology. As an iChange Therapy Specialist you will have working knowledge of clinical hypnotherapy, energy medicine, advanced communication and mediation skills, and Feng Shui. You will also have a sound basis for opening or improving your professional practice as a business enterprise. 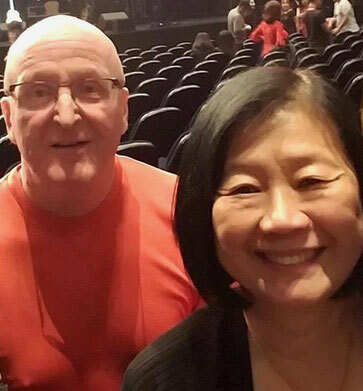 As east meets west, Dr. Kweethai’s training in western science and study of eastern energy medicine offer the client the best of both worlds. iChange Therapy is an all-around, inside-out approach to helping clients clean up emotional clutter, release spiritual toxicity, and recalibrate new environments for peaceful and joyful living. By putting Spirit first in the Mind-Body-Spirit paradigm, positive consequences are sustained easily and naturally. The iChange Therapy process revises habits of mind and personal behaviors in a way that brings about positive changes inside and out. iChange is derived from the i Ching, the ancient Chinese book of changes. iChange Therapy integrates clinical hypnotherapy with western health education and eastern energy medicine to get clients unstuck from emotional scars in the subconscious mind. Assertive communication skills allow the expression of their new truth. Feng Shui, the science of creating a harmonious environment, supports the happier and healthier self. This process and certification are the fulfillment of Dr. Kweethai’s wish to help others feel better inside and out. New, positive, habits within a supportive environment enhance a peaceful lifestyle. The integration of Chinese Energy Medicine cultivates a sense of inner peace. That peace is supported by inter- and intra-personal communication skills that mediate both inner and outer conflict, allowing better choices toward well-defined life goals. Whether or not you aspire to certification, courses within the certification program will change how you interact with clients, for the better. iChange Therapy focuses on aspects of the client that cannot be directly observed. It requires seeing beyond eyes and listening beyond ears, uncovering that which even the client does not know about herself. The paradox of living or working with, teaching or counseling “difficult people” is that they want to be loved and valued as much as anyone else. The iChange Therapy process provides the ‘source code’ that allows change to occur; transmuting Fear to Love. Whether using these skills and wisdom professionally or at home, you will benefit personally in myriad ways. Strategies from iChange Therapy will help you become more effective interacting with clients, students, employees, coworkers, family members… The change starts within you. Change yourself, and you will be better able to help others change. A Master Class format presumes that all students are a professional in their own field. Active participation in discussions, clinicals and debriefs is expected. Questions and contributions should benefit the class as a whole; and not serve as an opening for personal therapy. All courses with Dr. Kweethai are video-recorded, requiring a signed release from each student. iChange Therapy goes well beyond hypnotherapy, but as the most provocative changes occur within the subconscious mind, facility with hypnosis terminology and concepts is a prerequisite. Students with no prior training specific to hypnosis or hypnotherapy must enroll in a relevant Bridge course. There is an additional Bridge course (Energy Medicine Primer) for any student having never trained with Dr. Kweethai. iChange Master classes are taught by Dr. Kweethai Neill, PhD, CHT, BCC, FASHA, and Dr. Steve Stork, EdD, CHT. Together they offer more than 80 years of experience, knowledge and wisdom. Dr. Kweethai is a specialist in adult education. Dr. Stork has a lifetime of specialized knowledge and experience in early childhood education. They have the human lifespan covered! When available and appropriate, Dr. Kweethai invites experts in specific areas as guest instructors, adding to the rich tapestry of learning for students. iChange Therapy is a process developed by Dr. Kweethai. Some years ago a desire to help people become healthier led Kweethai Neill to study nutrition science (Master of Science in Nutrition). She pioneered a combination of food science and nutrition while advocating for minority health. Her Doctorate in Philosophy (PhD) in Curriculum Instruction and Design specialized in Health Education. As Dr. Neill, PhD, she advocated for healthier children in schools, eventually being conferred as Fellow of the American School Health Association. As an academic, Dr. Neill earned tenure as Professor of Health and rose to Department Chair of Health Studies at a prominent university in Texas. By that time she had discovered that merely teaching people about good health was not enough. Knowledge may change attitudes, but does little to change behaviors. Also, physical health rarely translates directly to happiness or life satisfaction. Rather, too little attention is paid to spiritual health. Dr. Neill left academia to work in what she terms the Universe-city. The adoption of clinical hypnotherapy extended her health education and advocacy into the subconscious mind, enhancing both happiness and health. She adopted a new identity as Dr. Kweethai to discriminate between, yet also merge, her academic background in science and personal devotion to spirit. Most face-to-face classes are taught in Keller, Texas. We strive for a state-of-the-art teaching environment that is Feng Shui-correct. A peaceful and harmonious surrounding affords effective learning. Classes are small and intimate (no more than 15 students) to ensure personal attention. Reflective mentoring and instruction purposely creates a cohort-community amongst the students that enhance cross-peer sharing. Maybe you are new to hypnotherapy, or Dr. Kweethai, or both; yet intrigued by the content of these courses. To help new students enter their first course on an equal footing with their peers, iHHS offers electronic courses to bridge the gap. To qualify for the iChange Therapy Certification test, you must accumulate 300 credits; any combination of courses within the plan of study. Any credits earned in pre-requisite courses, independent study, or practicums cannot be applied toward certification. Upon accumulation of the required 300 credits, apply to take the Certification test with Dr. Kweethai. Only upon passing the test is full certification conferred, allowing you to then identify yourself as a Certified iChange Therapy™ Specialist.